Proudly supporting over 100 LGBTQ organizations and 63 Pride Festivals across North America, it’s no secret that we wear our hearts (and rainbows) on our sleeves at TD. A couple of weeks ago, TD employees joined Toronto to celebrate love and equality at the Pride Toronto festival. 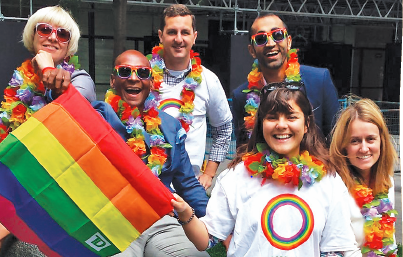 Among the 250+ employee volunteers (not to mention the support of TD colleagues who celebrated alongside them as attendees) hundreds of hours were logged in support of Pride. First, we heard from Al Ramsay on his experience as a 13 year TD Pride veteran. Al, National Manager of LGBTA Business Development, joined TD back in 2005 where he made it a personal and professional goal to increase TD’s profile in the LGBT community. 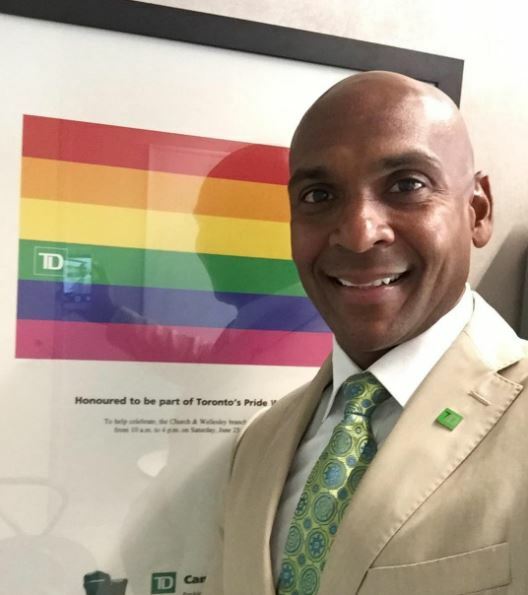 From LGBT ads, to Pride sponsorship, to gender-neutral restrooms in our new and renovated branches across North America, Al and his colleagues have made impactful changes on TD’s journey to inclusivity and diversity. 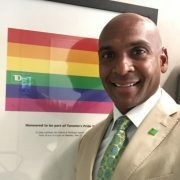 As someone who was out and proud at TD long before he came out of the ‘closet’ at home, Al shares his unique #foreverproud experience in his blog “13 Years a TD Pride Veteran and #foreverproud“. Next, Yahong Chi shares her story as a first time Pride-goer and new addition to the TD family. 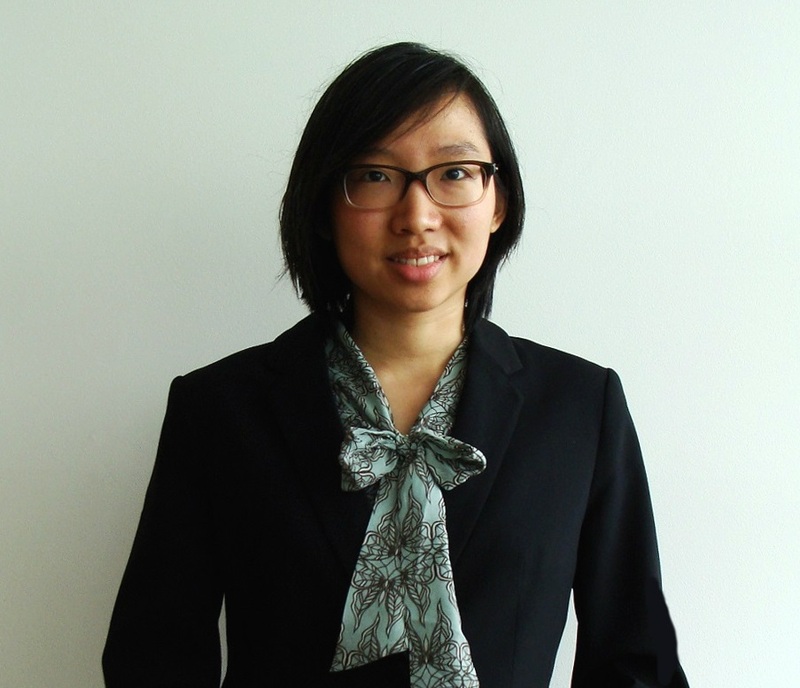 Yahong joins us for the summer from McGill University, as she works toward her Bachelor of Commerce degree from Desautels Faculty of Management. 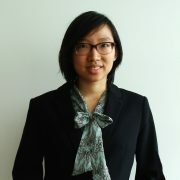 As a Digital Accessibility Intern, Yahong supports the Digital Accessibility team in communicating, consulting and advising on accessibility for TD’s various Digital Channels’ projects. In her blog “Pride 2017: Dykes on bikes and an orange “BI” sticker,” Yahong shares her first Pride experience where she marched as a proud TD volunteer in the Toronto Dyke March. 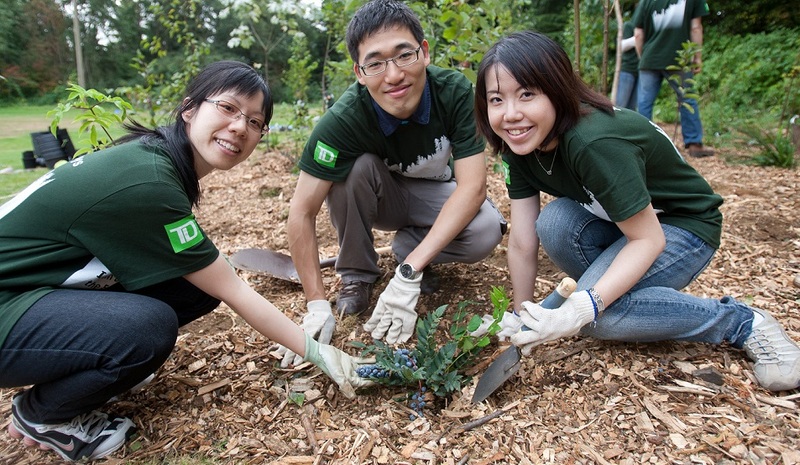 At TD, we encourage and empower our colleagues to get involved in the causes they care about. At TD, we’re dedicated to building an inclusive environment where we can all bring our whole selves to work. At TD, we’re focused on building a legacy to be proud of through our longstanding commitment to the LGBTQ community. At TD, we are, and always will be, #foreverproud! 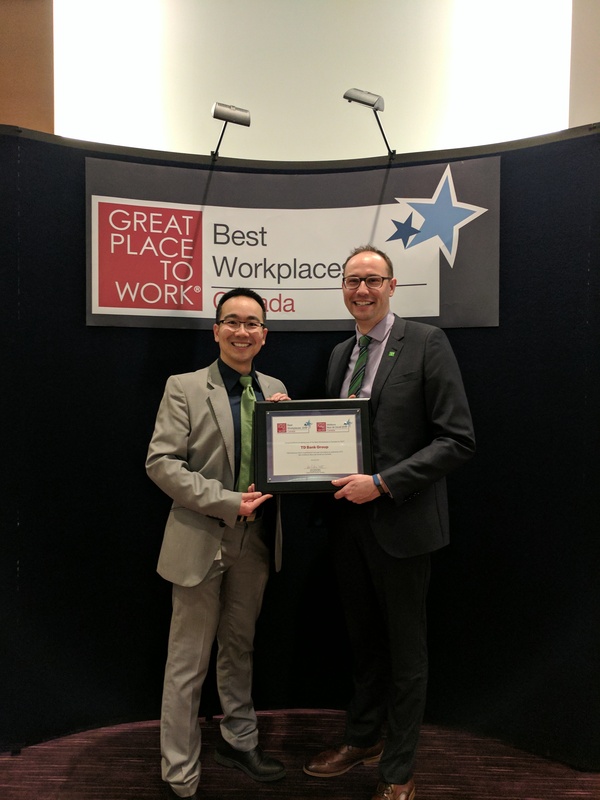 Last night TD was recognized by The Great Place to Work® Institute as one of the Best Workplaces in Canada for the twelfth straight year. This time last year , Anne Ethier, one of the bank’s longest tenured Canadian employees, accepted the award on TD’s behalf and shared her unique perspective on what makes TD a great place to build a life-long career. This year, we spoke to Winston Tran, who recently made the decision to join the bank a little over a year ago, to find out more about the path that led him to TD. Winston is currently a Manager in the Strategy, Planning and Sales Team within Digital Channels and in his final rotation of the Graduate Leadership Program. Welcome to TD! How did you make the decision to join the bank? After completing my MBA, it was clear that TD’s Graduate Leadership Program would offer the right opportunities to further my leadership skills. And when I was comparing graduate leadership programs at other organizations everyone I asked said that TD’s culture was amazing and is unlike anywhere else. Has TD lived up to your expectations? Absolutely! I have definitely experienced what everyone was talking about – that TD has a unique and special culture because of the people. People at TD are friendly, collaborative and supportive. Our culture is built on inclusivity, diversity of thought and respect for one another. What has surprised you about TD? Honestly, how much we focus on the customer experience and how we look at everything through our customer’s point of view surprised me. I knew this was a huge priority for TD but I didn’t realize how deeply this was rooted in everything we do. 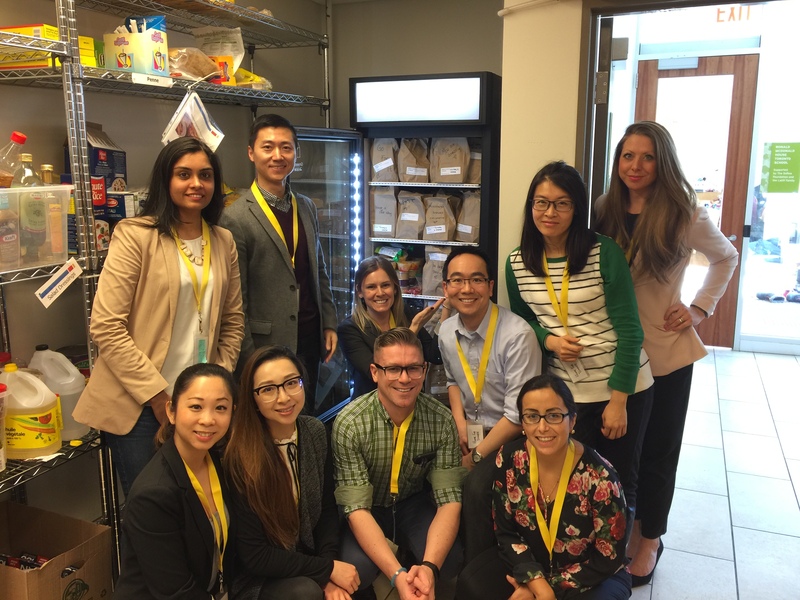 Also, that leadership supports employees to get involved in any volunteer initiatives that are meaningful to us – whether it’s inside or outside of the bank. 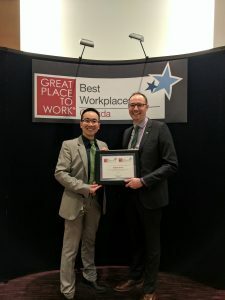 In your opinion why is TD a great place to work? There are two things that have stood out in my experience. One reason is that leadership cares so much about developing our people. My mentor has helped me through so much. I can tell her anything – with no judgement. Second, there are so many opportunities at TD to give back to the community. So far, I have worked with: Junior Achievement teaching Financial Education, leading various LGBTA initiatives, the Ronald McDonald House and Circle of Care through United Way. I truly believe volunteering allows us to develop ourselves, whatever our goals might be, in an environment where you are not being rated on performance. What makes you feel great about building your career at TD? Being able to get up every day and know that my work has an impact on the team and the organization. Knowing that my opinion matters here, that they are supported by leadership – and when I get to see my ideas come to life through the work that we do as a team – that makes TD a great place to work. Thank you, Winston, for sharing your story. We wish you all the best as you grow your career at TD! Interested in joining the TD Team? Start a career at one of Best Workplaces in Canada. Respecting and embracing our differences is not only the right thing to do, we also know that it helps us attract the best people, connect with our customers and harness a richer variety of experiences, perspectives and capabilities. Over the past decade, we’ve made excellent progress in our inclusion and diversity journey towards creating an organization where every one of our colleagues feels comfortable bringing their whole self to work. .
Our progress over the past 10 years has earned us worldwide recognition and respect. Externally TD continues to be recognized as a North American leader in diversity and inclusion. It was recently announced that, for the 6th consecutive year, TD has been named one of Canada’s Best Diversity Employers. It feels great to be recognized for our noteworthy and unique diversity initiatives and employee programs. At the end of the day, our success at TD comes down to a simple proposition: having the best people and an inclusive and diverse environment in which they can be their best selves. Passionate about working in an inclusive and diverse environment? We are proud to announce that TD has been included in Training Magazine’s Top 125 list for the 10th consecutive year! The Training Top 125 recognizes organizational excellence in employer-sponsored learning and development programs. Organizations are measured by the efficiency, effectiveness and impact of their overarching learning and development function, and specific learning initiatives. Training magazine is the leading business publication for learning and development and HR professionals. For over 50 years, it has been a trusted source for innovative learning and development. A key initiative that led to our 2017 Training Top 125 award was our Direct Investing Onboarding program. Our unique and inclusive employee culture is core to our TD brand. This program pays special consideration to all of our employees varying capabilities and diverse learning styles and combines in-class sessions and on-the-job training. It leverages multiple learning vehicles including, interactive eLearning and PDFs, business cases, call shadowing, self-reflection, and coaching. Participant capabilities are measured during this program through scenario-based eLearning and online quizzes. Upon completion, participants receive immediate feedback on their responses including “points” towards capabilities that have been developed. Results are used by our facilitators and People Managers to deliver personalized refresher sessions, targeting coaching opportunities. After learners completed the program, they demonstrated a 57% increase in job efficiency and 23% higher sales revenues. To learn more, visit the Training Magazine website . You’re seeing it more often – offices complete with pool tables and video games, relaxed meeting space and fully stocked fridges, and an overall culture of informality and fun. At TD, we provide both, and more. Building the bank of the future means we’re dedicated to growing tomorrow’s leaders. Our campus program is a great example. Students and new grads have the opportunity to put their education into practice, gain industry experience and explore different career paths through rotational programs. Regular coaching and feedback is coupled with employee access to a variety of tools and resources from tuition assistance programs to eLearning courses, classroom-based training, workshops and more. TD, one of Canada’s Top Employers for Young People. 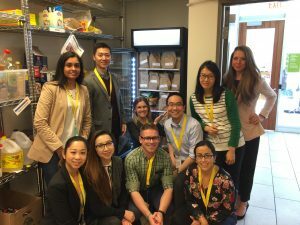 This offering – and maybe a ping pong table or two – has landed us a spot on the list of Canada’s Top 100 Employers for Young People. We offer opportunity, strong leadership and meaningful work, because we know that our biggest competitive advantage is our people. If you’re looking for a new opportunity, visit jobs.td.com and view our current openings. It’s a pivotal time at TD during this transformational era in banking; a lot is happening, both on the front-lines and behind-the-scenes. As a result of this progression, we are looking for new talent within TD’s Wealth Business Architecture group, to fill Business Architect and Business Analyst roles. The Business Architect role will develop and manage business capabilities (and associated assets) in alignment with TD Wealth’s corporate strategies. This individual will contribute to our business strategy and plan. The Business Analyst will manage and estimate the business analysis work package. This individual will determine stakeholders’ needs and analyze, validate, and prioritize elicited requirements into deliverables. Whether you’re looking for a career change or simply expanding your already-established skill set, one of these roles may be the perfect fit for you. To help fill these new roles within our organization, we will be holding an exclusive recruiting event on February 1st, from 5 pm to 9:00 pm in Toronto. Applicants will have the opportunity to meet with hiring managers and discuss opportunities at TD that may be a good fit, according their expertise, experience and skill set. Our goal is to offer an evening of insight, thought provoking dialogue, and networking opportunities for all attendees. In the end, this will leave them with a firm understanding on the Wealth group and our distinct and inclusive culture. Attendance is limited at this particular event. To register, please submit a copy of your CV by applying directly to our posting, found here. If your skill set and experience match our qualifications for immediate openings, we will send you a formal invitation. This year, we are proud to join some of Toronto’s best organizations and be named one of Greater Toronto’s Top Employers for 2017! “Like the metropolitan area it represents, the competition has become exceptionally strong and competitive — so much so that, for Toronto-area employers, the minimum score to secure a place on the GTA list routinely ranks among the highest in the nation.” – Canada’s Top Employers. We’re proud to announce the launch of TD Tech Talks, a series of chats on the key industry trends shaping the future of information technology as we know it. Join us for an evening of learning and networking at The Spoke Club on December 6th where we will be hosting thought leader and Big Data and Analytics guru – Brett King. King is a futurist, bestselling author, radio host, and runs a $100M FinTech startup called Moven. King has also advised the White House and spoken in 40 countries over the last three years on the future of banking. King was a key partner in the development of TD’s MySpend app, which leverages the personal financial management tool developed by King’s startup company, Moven. This event will offer an open forum for attendees to network with fellow Big Data evangelists as well as a Q&A panel discussion with Brett King and TD’s leaders in Big Data. We will also provide an opportunity for attendees to share their thoughts and perspectives in a small workshop towards the end of the evening. From this TD Tech Talk, we hope to provoke an evening of thought provoking dialogue leaving attendees with more knowledge, a stronger network and new ideas and perspectives on Big Data. To register, please submit a copy of your resume through this application and we will send you the formal invitation details. The event will have a limited number of seats; however, we will also have a standby list for any cancellations prior to the event. Start your career in TD Wealth as a New Investment Advisor! The sign of a fulfilling job? Making a difference. Whether it’s the opportunity to build and manage your own client practice with the mentorship of a senior Investment Advisor, the support of a leading organization or the flexibility to manage your work/life balance as part of a team, you can have it all as a New Investment Advisor at TD. It’s time to invest in your career – and we can help. With more time, training, and compensation support to build a wealth advisory practice you will discover a career that is challenging and highly rewarding. If are you have experience in relationship management or business development, take a look at our redesigned New Investment Advisor role and find an opportunity that’s right for you. We are looking for New Investment Advisors in Vancouver, Regina, Winnipeg, Toronto and Montreal. From our legendary customer experiences to our distinct and inclusive culture, TD is passionate about our vision to Be the Better Bank. And in an ever-changing and competitive environment, we know it’s our people who set us apart, which is why we continue to evolve our employee experience practices and programs to reflect what matters most to you. “Our vision to Be the Better Bank is only possible by creating a diverse, inclusive and supportive environment where our colleagues feel empowered and valued,” said Bharat Masrani, Group President and CEO. 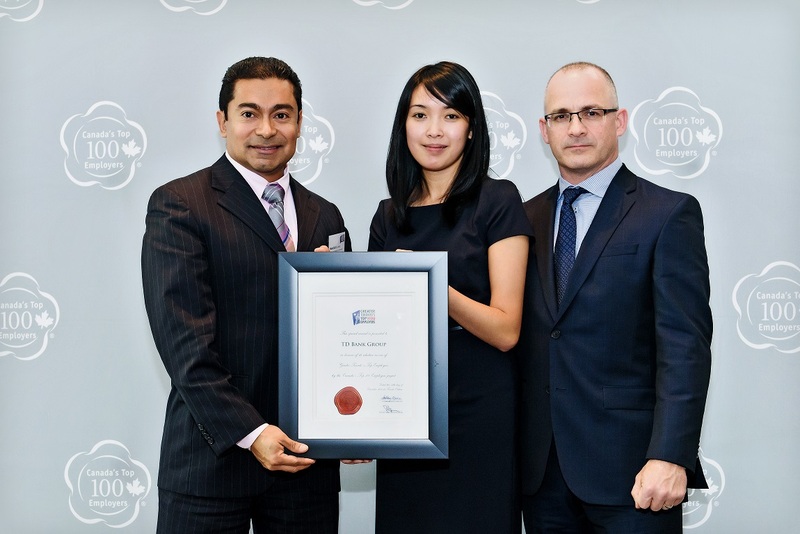 Recognitions such Mediacorp Canada’s Top 100 Employers and Aon Hewitt’s Best Employers help us understand our strengths and identify areas for improvement. For 2017, TD is proud to be the recipient of both of these prestigious awards. For the eleventh consecutive year, TD earned a spot on the Top 100 Employers list, an annual survey of Canadian businesses that excel in areas such as training and development for employees, work atmosphere and community involvement, among many others. Winners were announced in a magazine co-published by The Globe and Mail. Check out the feature article, where Bharat shared his views on the importance of great employee experiences. ITS Solutions Architect Nicholas Hawkes was also interviewed, and provides a firsthand account of his experiences to date, including our open and supportive culture as he explores different career opportunities in Technology Solutions. We’re proud to be positioned as an employer of choice in the market and of the investments we make in our employees. Interested in exploring a career at TD? Search TD opportunities.